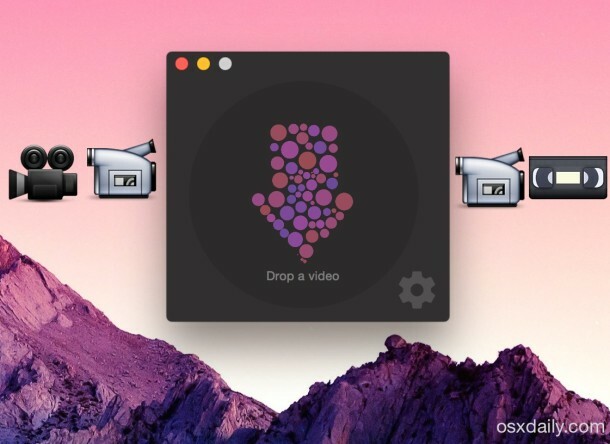 Creating animated GIFs out of a movie file or or video usually requires a bit of effort, but now you can convert a movie into an animated GIF on a Mac with drag and drop simplicity, thanks to the aptly named Drop to GIF. 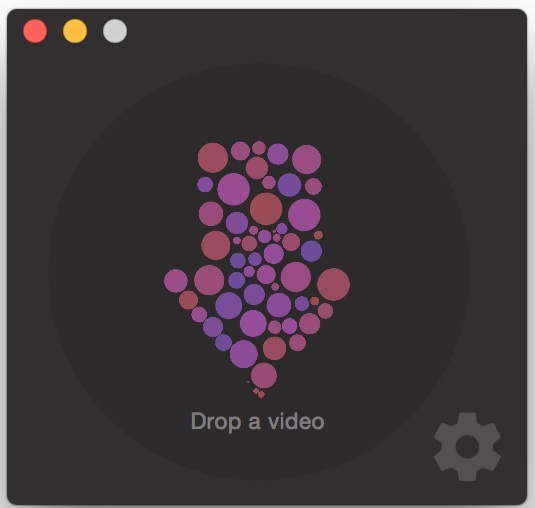 Drop to GIF is a free app for Mac OS X which automates the entire animated GIF creation process, all you need to do is toss a movie file into the app and the conversion begins. The app is both extremely simple and effective, so if you’re looking to make quick work of gif creation using existing movie or video files, it’s an excellent choice to get started. The exported GIF will loop endlessly, and the default settings will pull the frame rate from the video and set that as the animated GIF FPS as well. Users can make changes to FPS, width size of the animated GIF output file, and GIF quality, adjusting these three settings helps to control the file size of the exported GIF, since a large high FPS animated GIF will wind up being a large file by default. To access the settings, just click on the little gear icon in the app. There’s even a little handy directory watching feature, where any movie file that appears in a watched directory will instantly be converted into an animated gif. As already mentioned, any exported animated GIF file will be saved in the same directory as the originating movie was, so that directory would contain both the origin movie file and the GIF output. 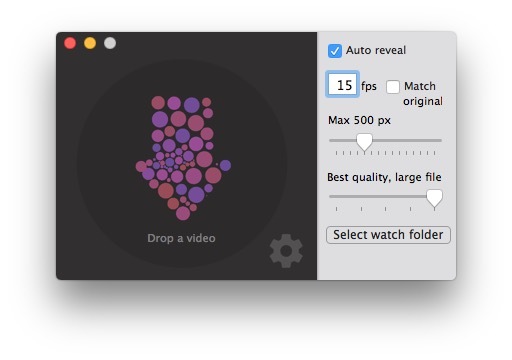 For users who need more gif creation and movie conversion options, like a timeline and editing tools, a paid app like Gif Brewery for Mac allows you to convert video to GIF and make edits as well, which would perhaps be a better option for more avid GIF makers. But even if it has fewer features, Drop to GIF is an excellent app, and since it’s free there is little commitment to giving it a try and seeing if it works for your needs. For those of us who aren’t developers, navigate to “/releases” to see a download to a compiled .app of the latest release. This is fair criticism, Github is developer centric and the average user can certainly wind up downloading the wrong thing when visiting a Github source page, usually source code for the app instead, rather than the application itself. Gee, it would be nice if Animated GIF’s would work in ‘Preview’ Like it used to do ! Never figured why Apple chose to stop supporting them in ‘Preview;. You can load and view animated GIF images in Quick Look (select in Finder, hit Space Bar to load). I agree about Preview, it should play animated GIF, they open in Preview, but do not play, which is strange. Animated GIFs can be opened and played with Quicktime. what I downloaded does not look at all like what is shown on this page — nor can I get it to work. Did I download the wrong thing? I downloaded Get Drop to GIF from Github (free)- and got a grey box with a black circle in it as the app. when I launch it, I get nothing. finally got the app to work — but does Facebook not allow you to upload gifs made by this app? Can’t get it to work. I’ve dropped .mov, mpv, and QT movies onto it (ten times) without it creating a GIF. “Animating” shows up but there are no results in any folder. Use short video clips, if you’re trying to drag Star Wars onto it, the app will take a hundred years and run out of memory. As of today it works for me. Although it doesn’t seem to be able to save file to my selected folder (tested more than 5 times), it does save to my desktop. My file was a 10sec video. I realized that when the job was done the UI switched back to the original state. I tried and tried. This is the first OS X that hasn’t worked at all from the instructions! Finally found “GIF Maker” and it’s free and so much simpler.